Moving house is stressful. Anybody who tells you otherwise probably hasn’t done it for a few years. In fact, moving house three times in 18 months has been such an upheaval that I’ve told my husband we won’t be moving again for at least 20 years. After all, what’s the point in writing about extensions and loft conversions all day long if I don’t maximise my home’s potential? Where are the water, gas and electricity metres located? Where is the water stopcock? How does the boiler work? How do the kitchen appliances work? Which days are the bins/recycling collected on? How does the burglar alarm work? When you go for that second or third viewing, ask the vendors for an email address of phone number in case you need anything. Depending on the relationship you build up, you may be able to organise collecting the keys on moving day without having to go to the estate agents. You could even ask them to leave the fridge and boiler on ready for you. It’s also handy post-move when you suddenly discover you don’t know which shade of grey they used to decorate the hallway and it needs touching up. Once a completion date has been set, the majority of hold ups tend to be because funds haven’t gone through in time. If you’re due to move on a Friday, get your deposit transferred to your solicitor the Friday before to make sure you’re not the one holding things up. It might be worth sending this article to everybody else in the chain, too. *Anybody hiring a vehicle now has to apply to the DVLA for an authorisation number. You’ll need to do this in advance or you won’t be able to hire it. I can’t emphasis this one enough. We once left it until five days before moving day to start packing, which was a major error. As soon as contracts are exchanged, get your boxes and start packing. This will give you time to think carefully about what you’re putting where. Crucially, it will also give you chance to get rid of any junk – either take it to a charity shop or try selling it online. There are thousands of local swaps and sales groups on Facebook, as well as Gumtree, Ebay and Shpock. There’s nothing worse than coming to put your bed/table/sideboard back up, only to find you can’t locate any of the screws or brackets anywhere. When you’re dismantling the items, pop all of the screws into a sandwich bag and tape it securely onto one of the pieces of furniture they’re for. No more lost screws. While you’ve got the tape out, use it to stick cables to the back of your TV and devices to stop them trailing. You’ve got the keys, you’ve run around in excitement and already started planning a complete redecoration/extension/loft conversion. Before you do anything else, use your smartphone to take photographs of the readings. Then you can call the energy companies a couple of days later to start your accounts. Don’t forget to switch your TV licence over, too. However good a house looks when you’re viewing it, by the time the previous owners have packed up and moved out, it’s going to need a quick clean. 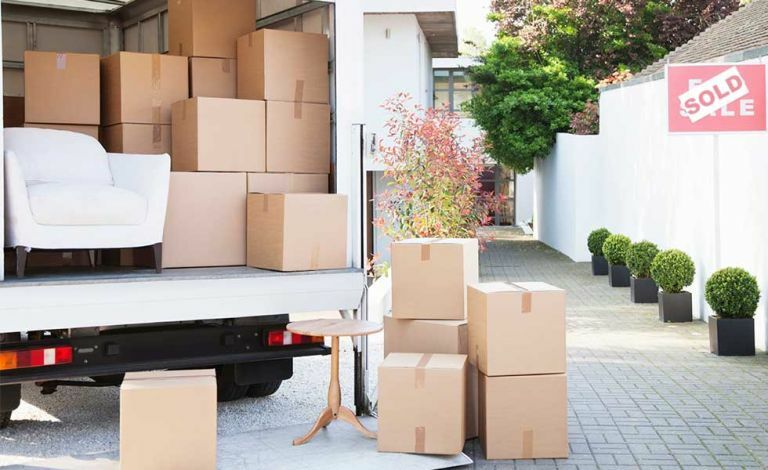 Once the van is packed at your old house, head over to the new property in your car and give it a quick once over before the boxes arrive. You’ll never get another chance to clean without furniture in the way, so make the most of it! Take the hassle out of your first night in your new home by changing your sheets the day before you move. Then simply roll up the sheets, duvet and pillows and pop them in your car, ready to put straight onto the beds in your new house that evening. Trust me, after a day of moving, the last thing you’ll feel like doing is cooking. Get on TripAdvisor the week before you move and find the best-rated local takeaway. Tell them you’ve just moved to the area and you might even get a surprise – we got a discount and welcome cookies on our latest move. Have you got any other moving-day tips I can add to the list? Email me at laura.crombie@futurenet.com and I’ll keep them in mind when the urge to move strikes again!